Chuck Reuben has been the webmaster at ECE since 2009. He has also designed and developed a dozen UNM and IEEE conference and academic websites. An Eagle Scout, Reuben studied philosophy at St John's College in Santa Fe where he received his BA in Liberal Arts. He has published a book of poetry as well as a novella that was featured in Ripley's "Believe It or Not." He is proud of his personal website that highlights his own writing, as well as the poetry and music of his friends. A freelance writer, Reuben has been published in the Los Angeles Times, The Santa Fe Reporter and the Weekly Alibi. He began his career as a typesetter at The Santa Fe Reporter and then served as a Journeyman Printer at the Albuquerque Journal. In 1994 he was hired by The School of Engineering to manage the first duplicating center at UNM to own a full-color copier. In 2003 he began working in research under the auspices of Dr. Edl Schamiloglu and the ECE department. Reuben received his Multimedia Certificate from UNM Continuing Education in the Spring of 2013 (371 classroom hours) as well as the Website Design Certificate (358 hours). 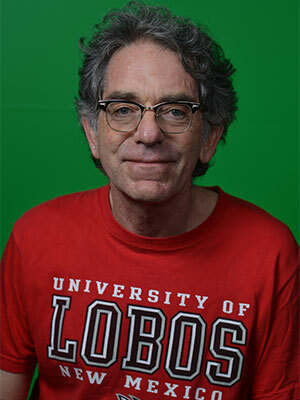 Reuben studied screenwriting at UNM under Digby Wolfe and several of his plays have been produced at its experimental theatre.